Rescue Squads Joint 'Spin-Up' For The Joint Fight - USA Patriotism! 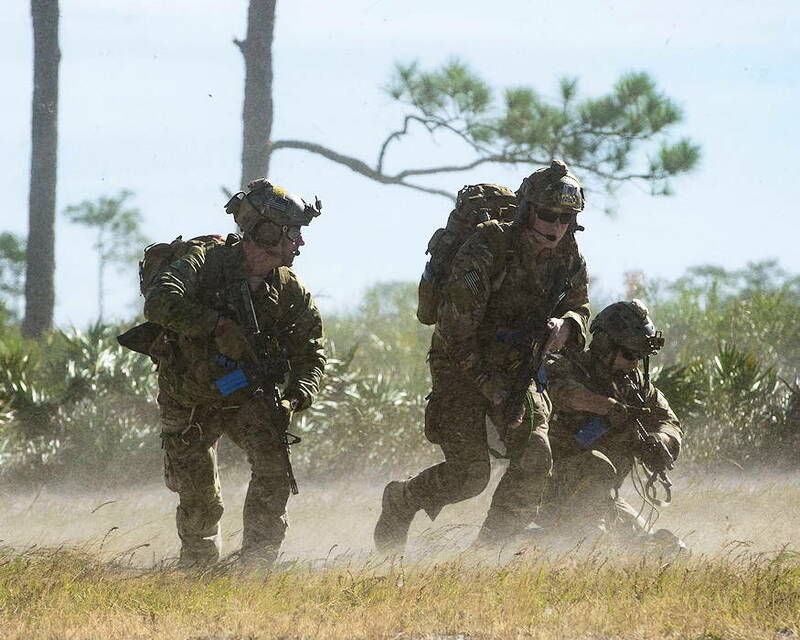 When lives are on the line, there is no margin for error ... and for a group of Air Force Combat Search and Rescue personnel, their razor thin life-saving operations were put to the test as they mobilized to Avon Park Air Force Range, Florida. During their pre-deployment ‘spin-up’ training, Moody’s 347th Rescue Group tested and maximized their CSAR and personnel recovery capabilities. 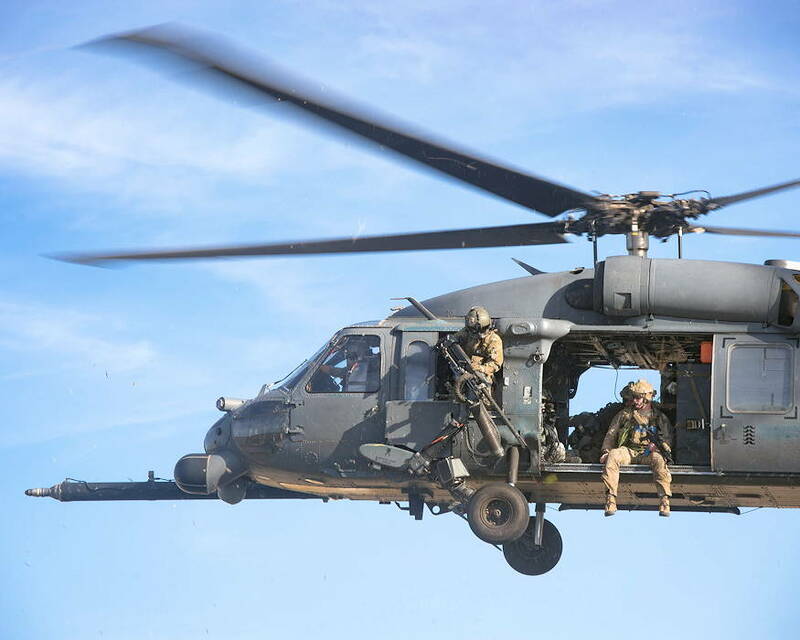 Under normal circumstances, the HH-60G Pave Hawk helicopter crews and maintainers deploy from Moody and normally integrate with a Guardian Angel team from a different base. This time, Moody’s 38th and 41st RQS’s will deploy together and utilized this exercise to improve their mission readiness and unit cohesion before their departure. More than 100 rescue operators, maintainers, and support Airmen simultaneously worked together to identify and overcome challenges to maximize mission success while minimizing and mitigating risk. 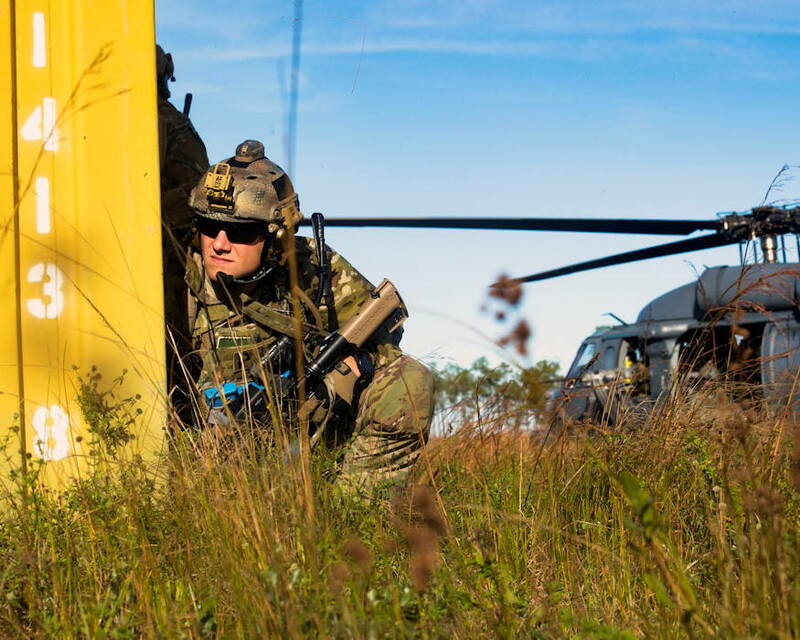 Utilizing Moody’s Avon Park range complex, they familiarized themselves with drop zones, weapons employment ranges, and military operations in urban terrain training villages. Understanding that synchronizing everyone’s actions takes time and practice; the 347th RQG implemented combined leadership roles and integrated the two squadrons at all levels of decision-making and employment. This was designed to build trust and understand each other’s strengths, requirements, risk factors, and limitations to help streamline the mission approval process and ultimately ensure mission success as quickly and efficiently possible. This advanced training concept enhanced the squadron’s dual lethality to bring the readiness to win tomorrow’s fight faster and contribute in a joint, contested environment. Whether it was relaying information in the tactical operations center, combining processes on the flightine, or flying as hard crews with the same rescue operators on every mission, the continuity of the two units makes it possible to reach their mission pinnacle. For the 38th RQS’s Capt. Ryan Kelly, deployed director of operations, the opportunity to execute in inter-squadron operations is invaluable for mission readiness. “The 347th Rescue Group executes personnel recovery operations and teamwork is key,” said Kelly. “Each part of the group is critical for the broad spectrum of missions encountered in operations. When we say the word “joint”, we typically refer to cross-service operations. Intra-group training like this is unique in terms of multiple units working together to achieve more than what they could standing alone. 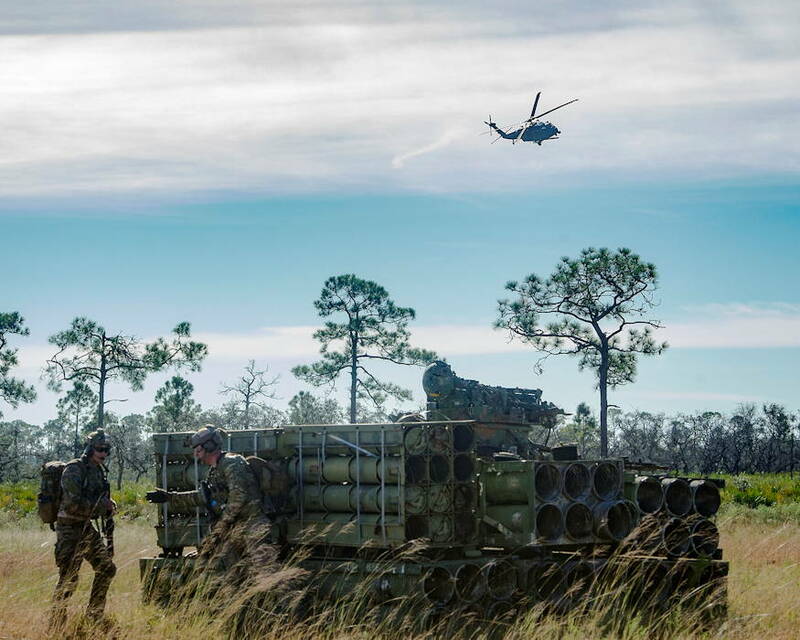 Throughout the exercise, 347th RQG leadership constantly echoed the message that performing routine joint training events with the group’s weapons systems helps ensure personnel are ready for their most important mission – saving lives. In both dusk and dawn, rescue operators scrambled to the flightline for recovery missions and to conclude the event, the entire group participated in a mass casualty evacuation scenario. For Kelly, rehearsing these events was paramount to achieving the ‘spin-ups’ goal. “Plain and simple the training was rewarding,” said Kelly. “We don’t train this way enough. Personal relationships with those you work with is important. As a squadron, we (continuously) train and work together, almost every day. (Group training) creates a strong bond of trust that makes operations more efficient, lethal to the enemy, and more successful to the ultimate goal.